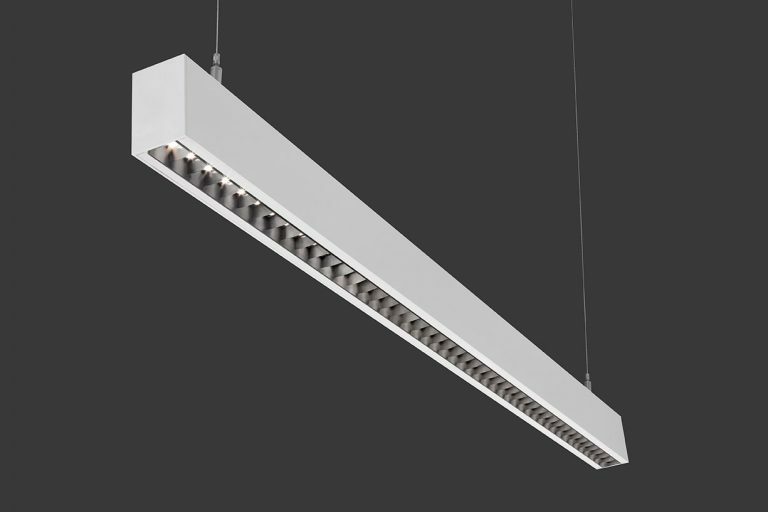 Linear luminaire with small profile using specially designed louver and optical system to control beam spread, reducing overall glare. 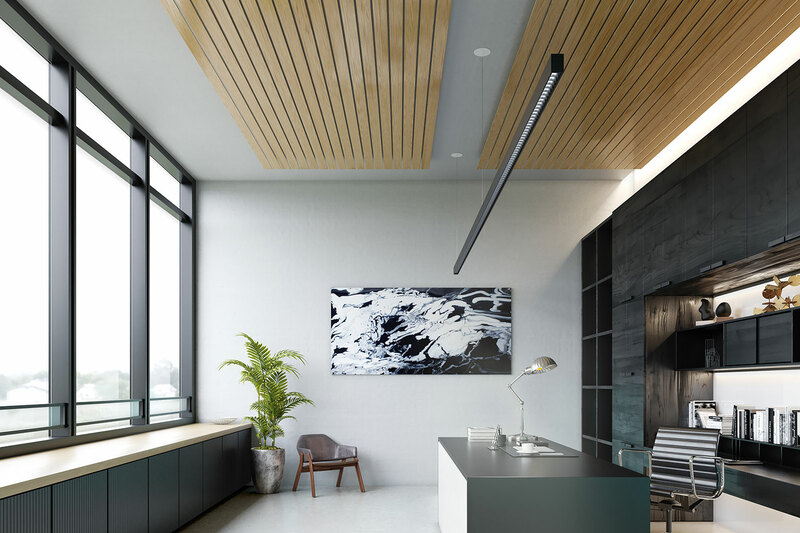 Suspended, surface or wall mount installation; recessed option coming soon. Available all direct or with continuous uplight.